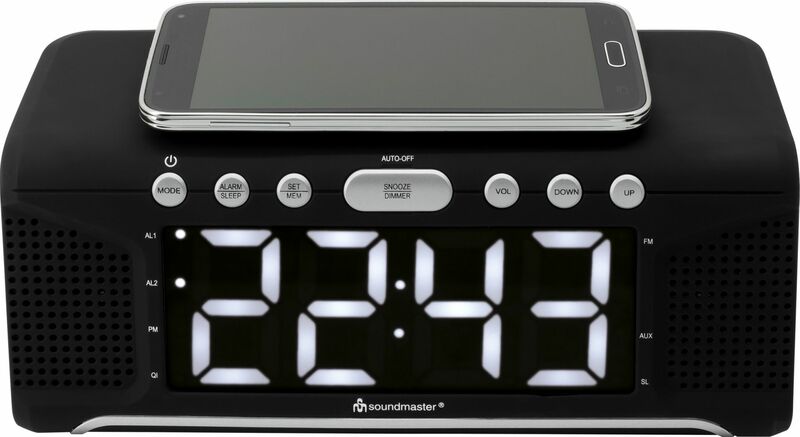 The UR800SW clock radio from Soundmaster is a solidly built device with an outstandingly streamlined design in an exquisite matte black look. It features a wide range of modern hi-fi technologies. The jumbo LED display will certainly catch your eye at first sight; it can be dimmed and adapted to any ambient lighting conditions. The QI charging station on the top of the clock radio’s housing is a very sophisticated feature that allows for the wireless charging of smartphones and tablets. The FM radio is equipped with station presets for your favorite stations and will win you over with its compact size and brilliant sound reproduction. The controls on the front of the device give quick access to its many functions. You can, for example, program two different alarm times. 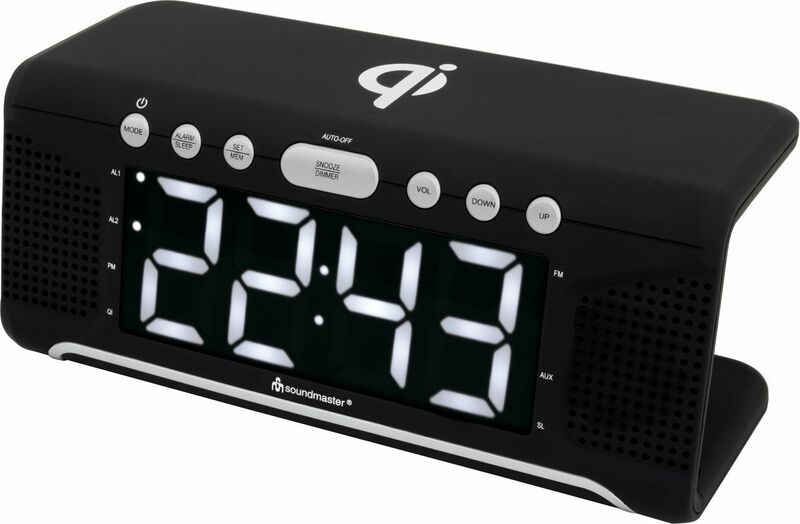 This radio, with the striking LED clock at its center, also offers an auto-off function, a snooze function, and the especially popular sleep timer. This ingenious FM radio is perfect for everyday use and also features a power reserve.